My love affair with Matrix Reimprinting started in a very chancy way. In July of 2010, Amazon.com being well aware of my fondness for EFT and Energy Psychology books recommended to me the newly printed Matrix manual called Matrix Reimprinting Using EFT. I wondered if it was indeed possible to take the wonderful and amazingly effective modality that’s EFT one step further and make it even more powerful. 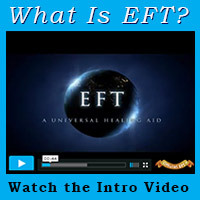 I was skeptical… But since Gary Craig himself – the founder of EFT – mentioned repeatedly that EFT was but the ground floor of a healing high rise and that we should all expect and research new development to dramatically improve on his already handsome contribution, I decided to buy the book. Matrix Reimprinting is everything it promised and more. “[Matrix Reimprinting], having evolved from EFT, also contains some important differences. For example, in conventional EFT tapping on meridian end points is used to take the emotional intensity out of a past memory. What you are left with is to be able to recall your most traumatic and stressful life memories without any emotional disruption or stress, which is obviously extremely useful, as negative past memories keep the body in a state of stress and can contribute to disease. However, with Matrix Reimprinting the memory is actually transformed. You can go into any past memory, say and do what you wished you’d said and done, bring in new resources, and create and transform the picture you have of that memory. I’ve been revisiting my past memories and that of my clients for nearly a year and a half now, and earned my stripes as a certified Matrix Reimprinting professional in the process. And I’ve been astounded by how deep the repercussions of healing can reach. The amount of information we can retrieve from the Matrix is much greater – not to mention much more accessible – than that held in our subconscious minds. It suddenly becomes easy to rewrite entire patterns that have plagued us (or even our ancestors) for the longest time. My positive opinion has been reinforced after having trained with Sasha Allenby herself. This smart and generous woman is constantly innovating and discovering new ways to use Matrix Reimprinting. She’s also very keen on incorporating it in a self-healing practice. For my part, I’ve noticed that my experience with Matrix Reimprinting has modified my perception of healing with traditional EFT: now I know when a specific memory is cleared of all negative charge much more clearly since the image is suddenly supplanted with an entirely different – yet spontaneous – positive scene. Then I know for sure the healing is complete! I strongly encourage you to experience Matrix Reimprinting for yourself either with me by scheduling a face-to-face or Skype appointment, or with one of the other numerous certified practitioners listed on the official website.